Unfortunately, not quite. 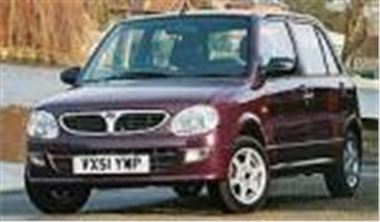 Because the on the road price of the 5-door Perodua Kelisa 1.0 EX is £5,124 including registration tax and 12 months VED. You also get a reduced new car warranty of just 12 months or 12,000 miles. Other Kelisa models are also reduced. The Kelisa 1.0EXi 5-door with two year 24,000 mile warranty is £5,324 on the road with 12 months VED. The Kelisa 1.0GXi 5-door is £5,824 on the road. The Kelisa 1.0EZi 5-door automatic, now with electric door mirrors, remains £6,745 on the road.